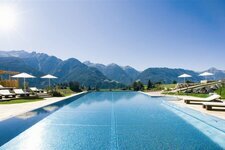 Astonishingly beautiful nature, green valleys as well as huge glaciers expect you in the nature parks of Tyrol. Nature parks in Tyrol are above all popular in spring and summer. These parks provide great views and fresh mountain air, far away from big cities. This is where you find pure relaxation in beautiful surrounding (pic: Hohe Tauern National Park). But that’s not all: information panels and educational trails inform visitors about innumerable plants, animals and lakes. There are five nature parks in North Tyrol and one national park in East Tyrol! This nature park is characterised by the high mountain area of the Oetztal Alps. This high-mountain nature park extends among green valleys and white glaciers.